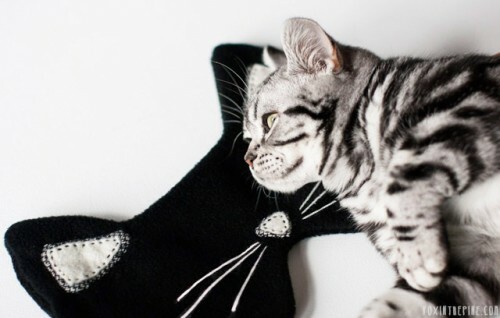 An eye mask provides comfortable and calm sleep anywhere, at any time of the day, and you’ll need it especially if you want to have a nap during the day. 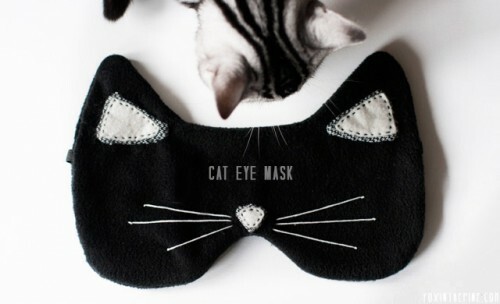 A cat is a very graceful animal, that’s why a cat eye mask is perfect for a girl! The supplies are some black fleece, black elastic, black and white thread, black string, off-white felt and a checkered fabric for the ear and nose pieces. First, cut out your two fleece sides. To make the nose and ear pieces, cut the shapes out of the off-white felt and then a large piece out of the checkered fabric. 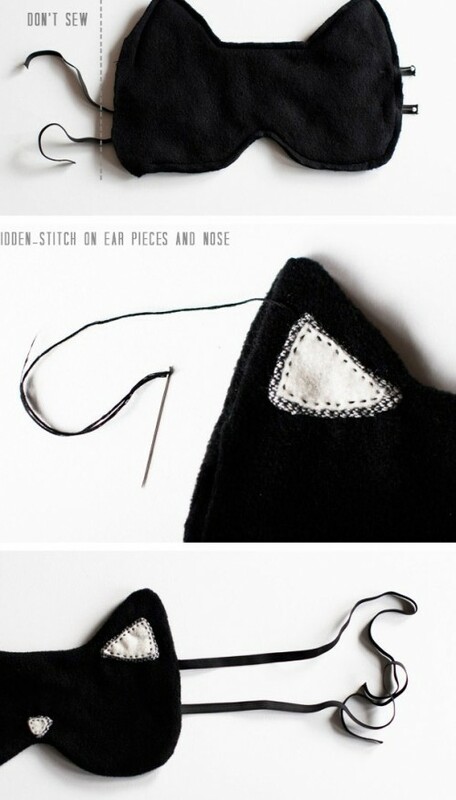 Stitch the checkered fabric with its ends folded under to the off-white felt using black thread. Once these are done, set them aside. Read the rest of the tutorial here, finish the mask and enjoy sleeping anywhere and at any time, just like a kitty!